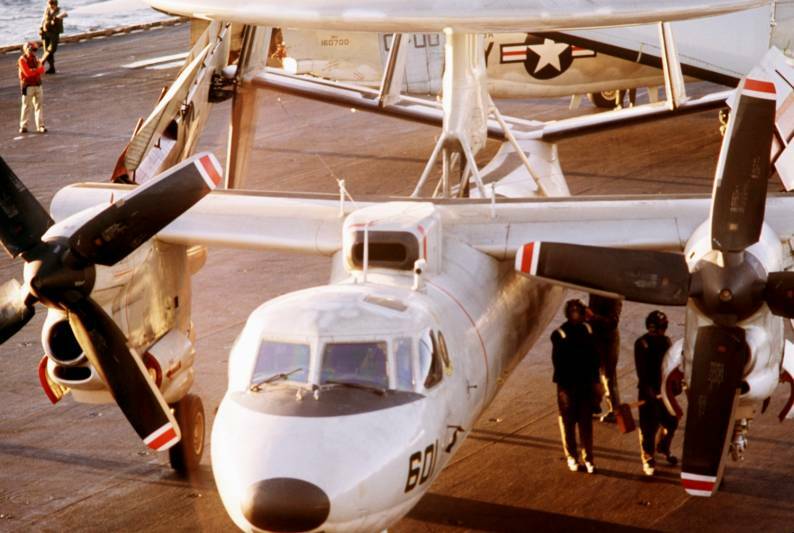 On 14 January 1978, The squadron suffered the loss of an aircraft (BuNo 159107) and the death of 3 aviators. 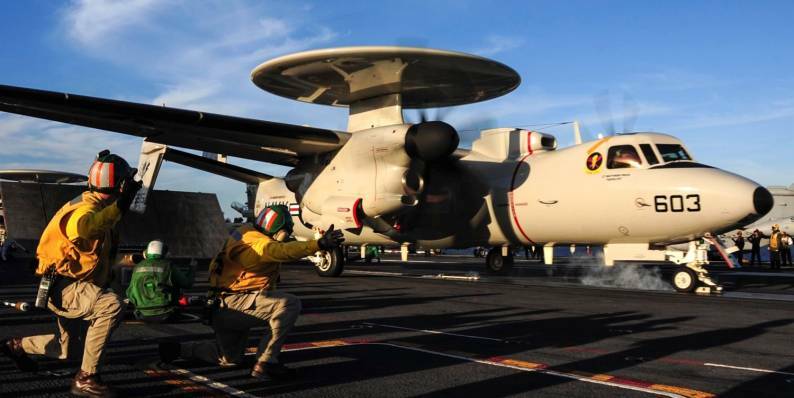 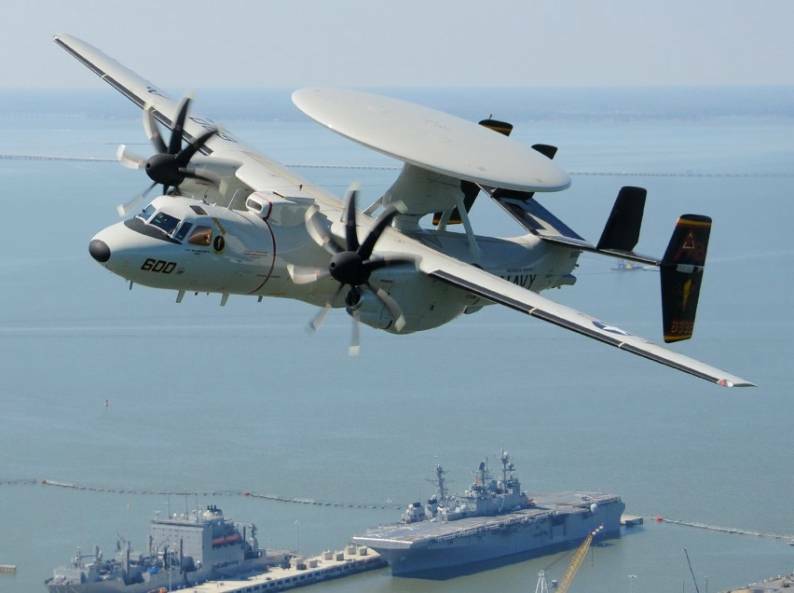 In June, VAW-125 took the E-2C’s newest weapons system upgrade, the Advanced Radar Processing System (ARPS), to sea for the first time. 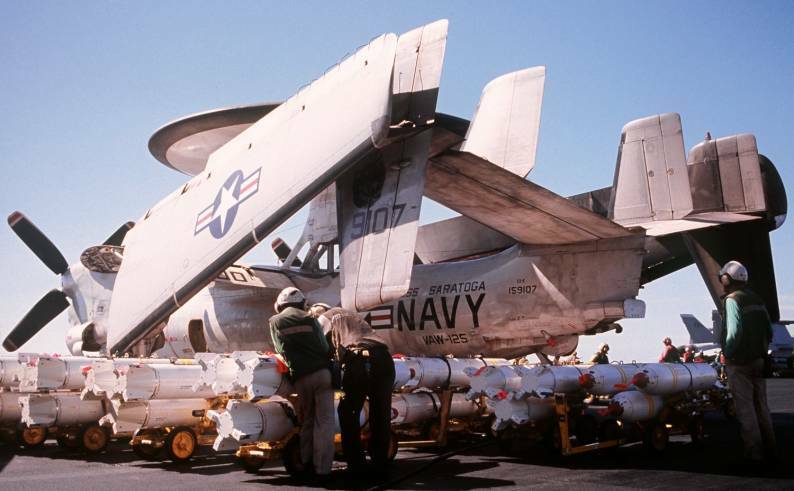 The Tigertails were then assigned to Carrier Air Wing Seventeen (CVW-17) in November 1979, with the squadron making their eighth Mediterranean Sea deployment, this time aboard USS Forrestal (CV 59). 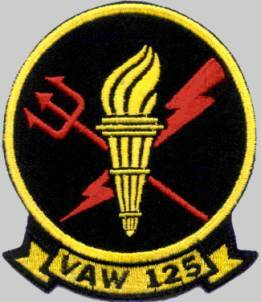 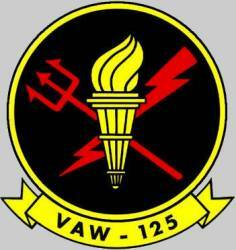 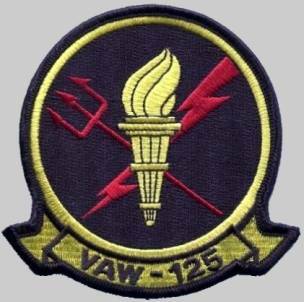 While deployed in August 1981, VAW-125 participated in Freedom of Navigation (FON) Operations & Open Ocean Missle (OOM) Exercise in the Central Mediterranean Sea and Gulf of Sidra, during which two Libyan MiGs were destroyed after attacking Battle Group aircraft. 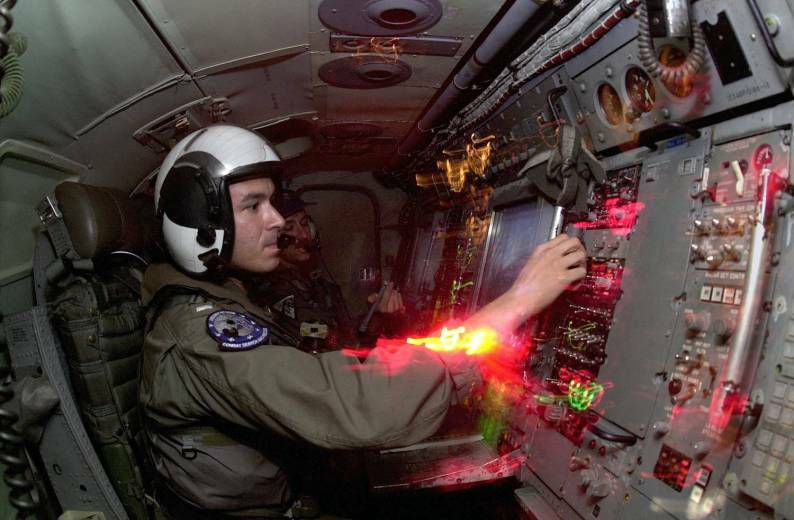 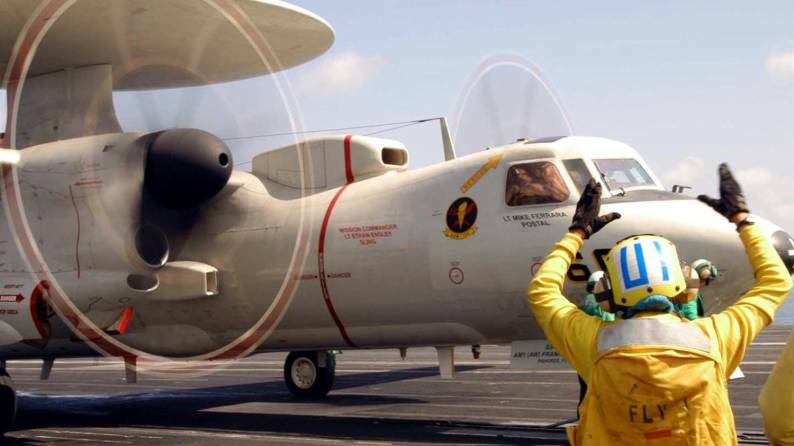 Upon return from deployment, the squadron participated in two national tasking missions VAW squadrons would be assigned over the next twenty-plus years, first providing range control services for the second launch of the NASA space shuttle, STS-2, and second providing detection and monitoring services in the first E-2C Counter-Drug tasking, Operation Thunderbolt. 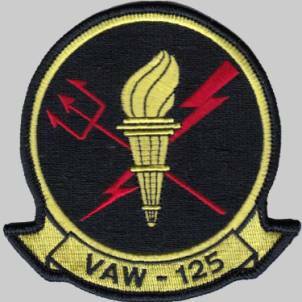 While on routine deployment in October 1985, the Tigertails played an instrumental role in the successful intercept of the Egyptian airliner carrying the hijackers of the Italian cruise ship, “Achille Lauro.” Tigertail aircrew spoke directly to the hijackers, convincing them that the communications were coming from the two VF-103/VF-74 F-14s on their wing and persuading the airliner to divert into NAS Sigonella, Sicily. 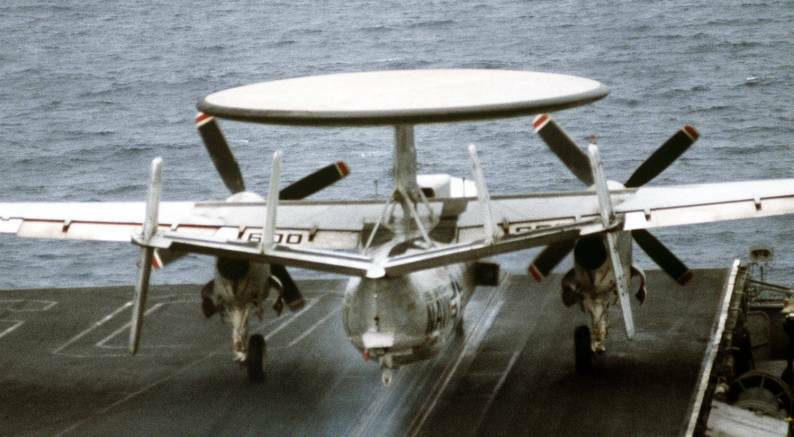 In August 1988, the Tigertails deployed aboard USS Independence (CV 62) for an “Around the Horn” cruise to San Diego, CA . 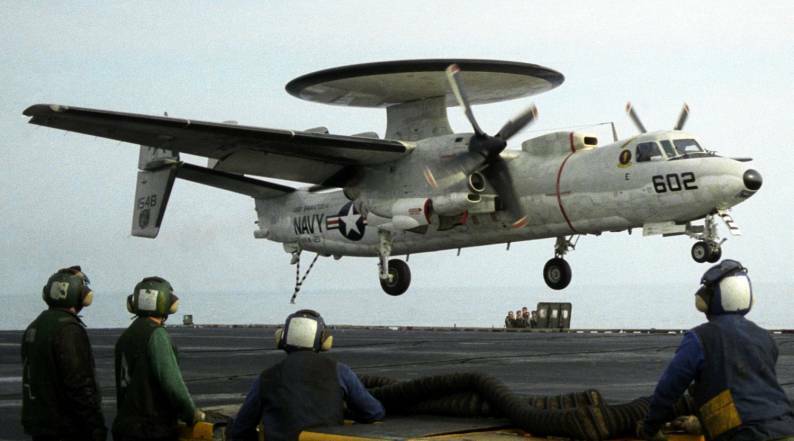 In August 1990, CVW-17 aboard USS Saratoga (CV 60) rapidly responded to the invasion of Kuwait by deploying to the Red Sea . 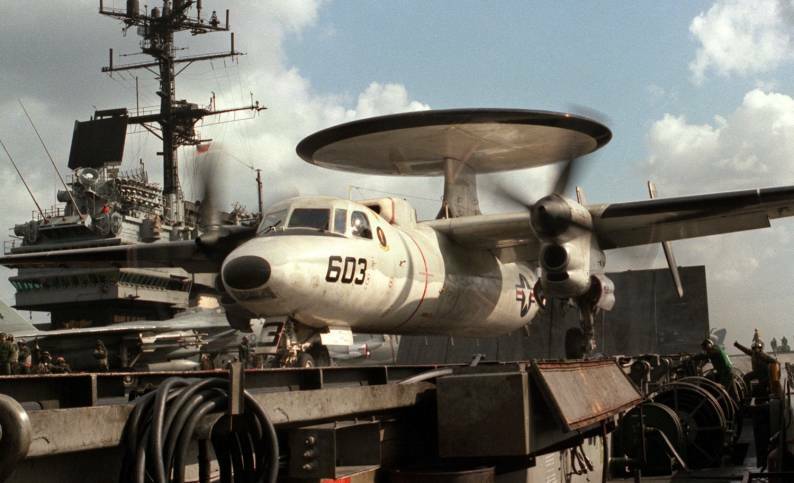 VAW-125 and VAW-126 Hawkeyes flew around-the-clock as the force build-up of Operation Desert Shield continued. 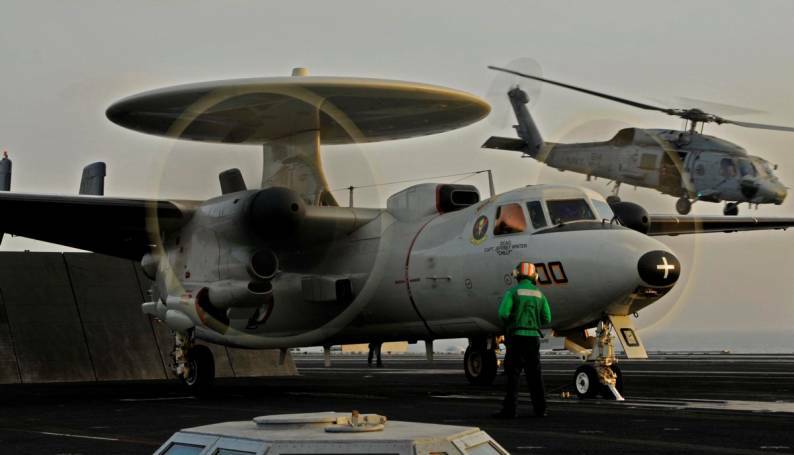 VAW-125 flew over 890 combat hours controlling strikes on Iraqi targets while providing airborne early warning (AEW) coverage for the Red Sea Battle Group. 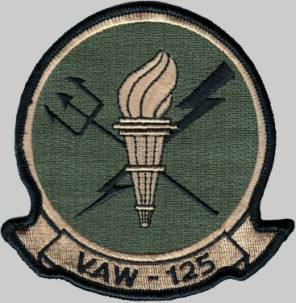 On a 17 January 1991 strike, Tigertail aircrew detected two Iraqi MiG-21s threatening the strike group. 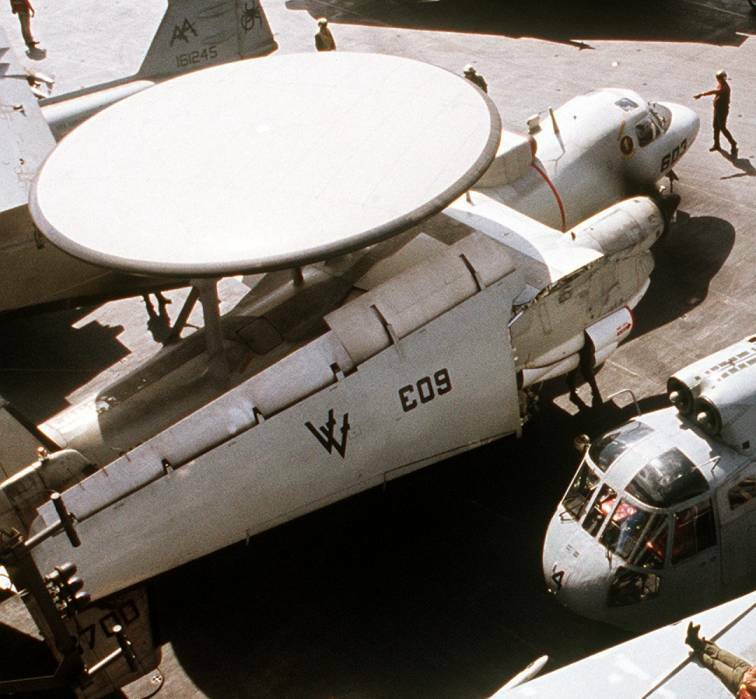 Tigertail controllers vectored two VFA-81 F/A-18s toward the MiGs which recorded the only Navy fixed-wing air-to-air kills of Desert Storm. 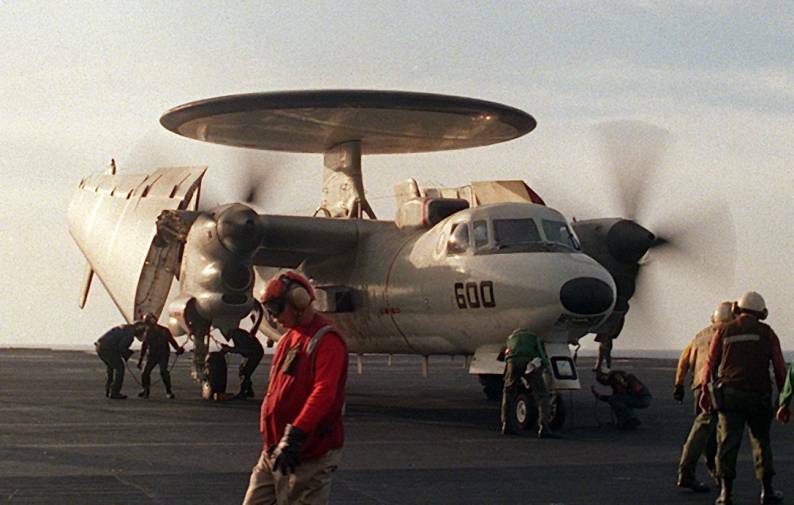 In January 1994, the Tigertails deployed aboard USS Saratoga (CV 60) for her final cruise. 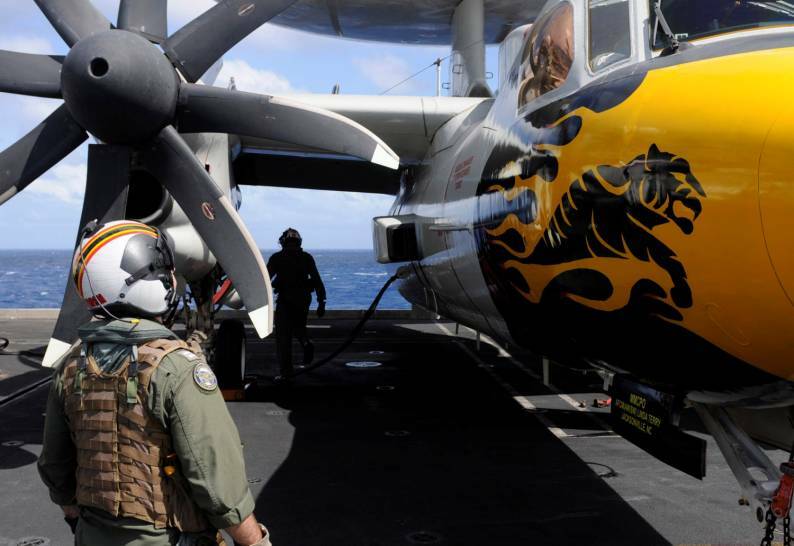 During the deployment, the Tigertails joined NATO forces flying in support of Operations Deny Flight and Provide Promise. 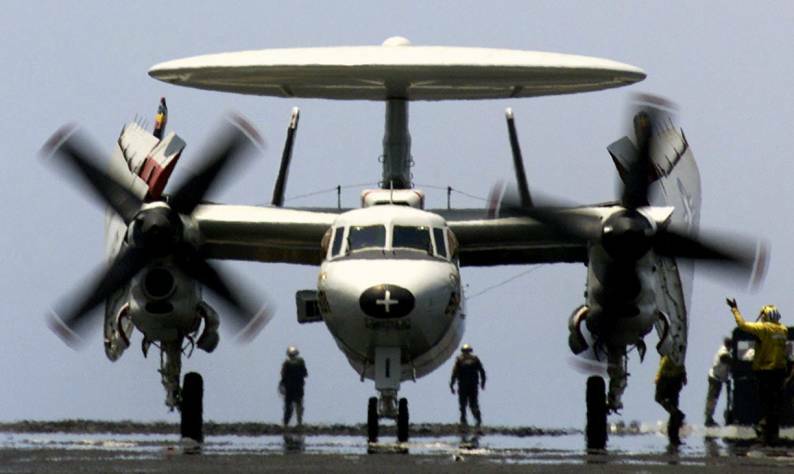 The Tigertails conducted operational tests of the Navy’s newest Mini-DAMA Satellite Communication Suite. 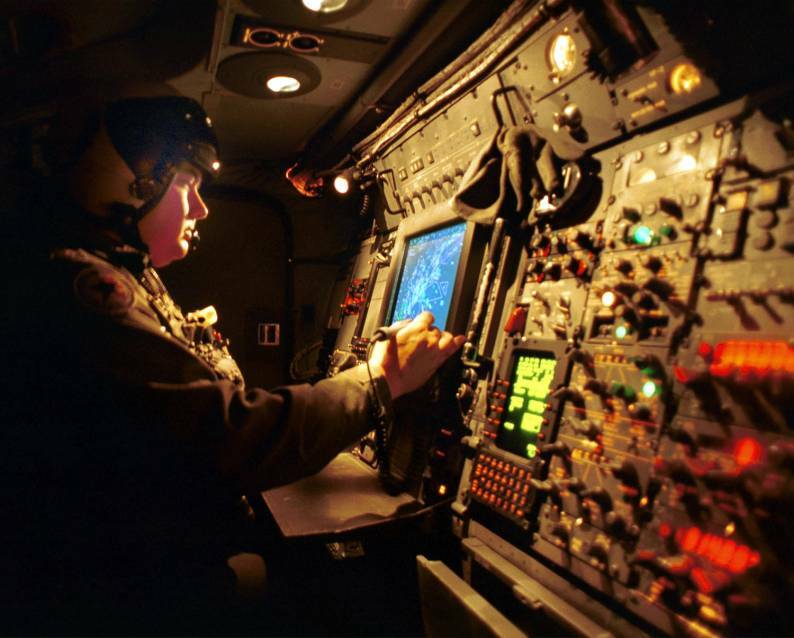 Using this new system, the Tigertails, for the first time, functioned as an Airborne Battlefield Command and Control Center (ABCCC), a mission that continues to grow in emphasis to present day. 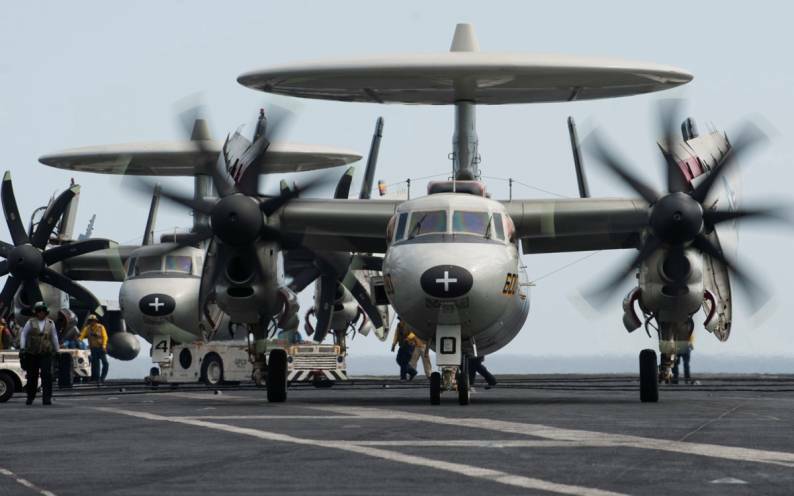 With the decommissioning of USS Saratoga (CV 60), VAW-125 and CVW-17 were paired with USS Enterprise (CVN-65). 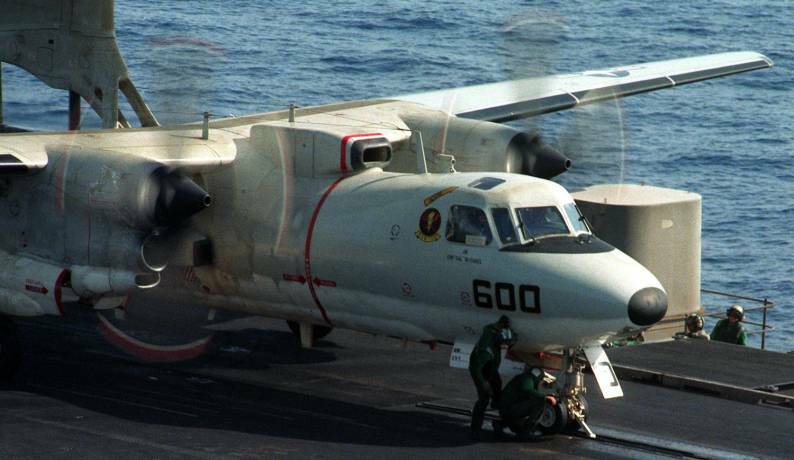 After completing a two-month Counter-Drug assignment at Naval Station Roosevelt Roads, Puerto Rico, the Tigertails deployed to the Mediterranean Sea aboard USS Enterprise (CVN 65) in June 1996. 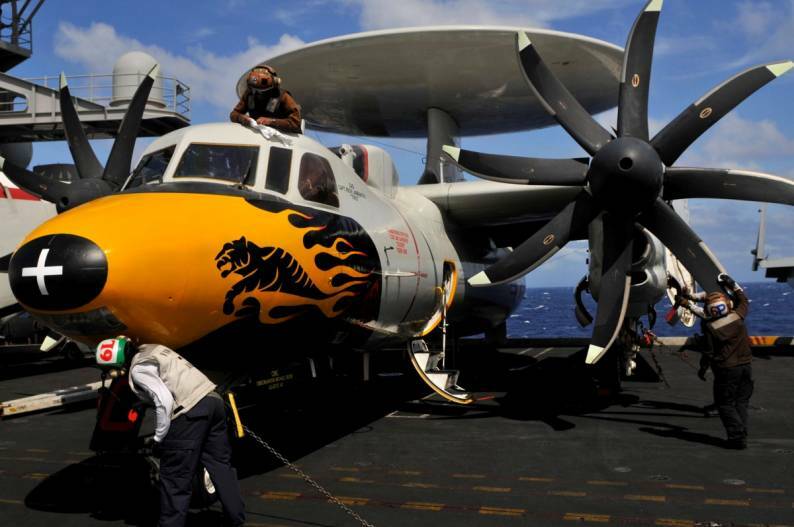 In July, the Tigertails again joined NATO forces in the former Yugoslavia, this time in support of Operation Joint Endeavor. 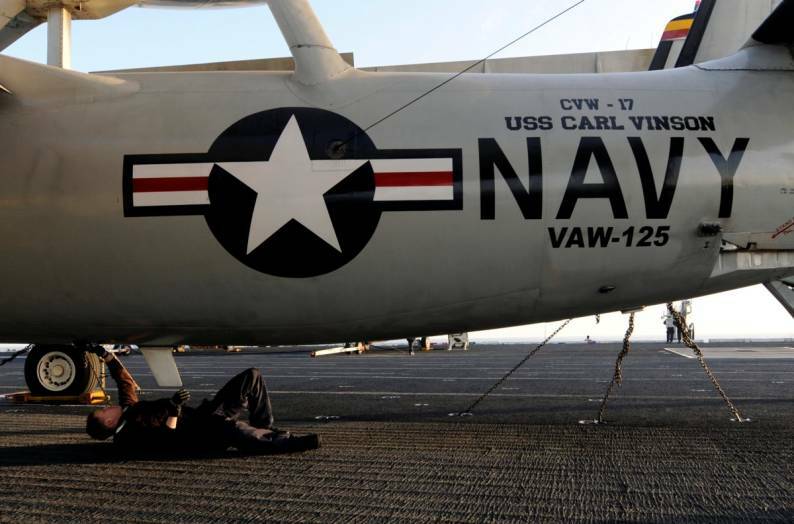 In September, USS Enterprise (CV 65) moved to respond to mounting tensions in Southwest Asia . 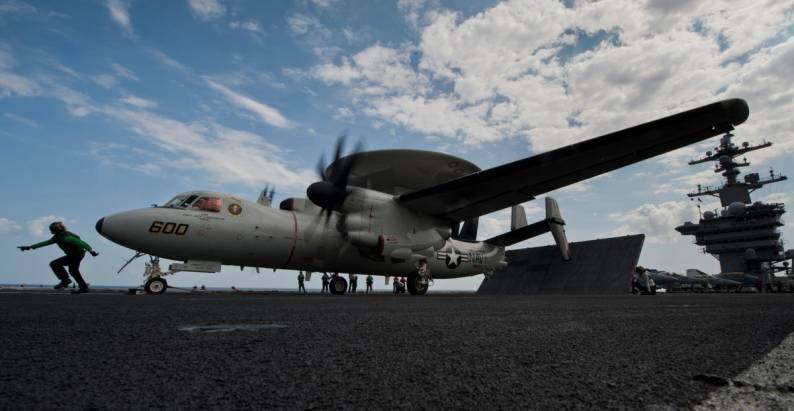 Supporting Operation Southern Watch over the next three months, VAW-125 played a vital role in the enforcement of the southern Iraq no-fly zone. 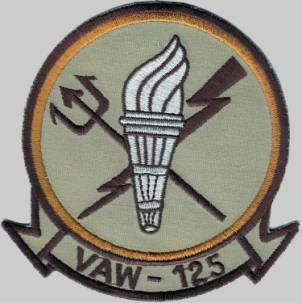 Additionally, Tigertail pilots earned the CVW-17 “Top Hook” Award for carrier landing performance. 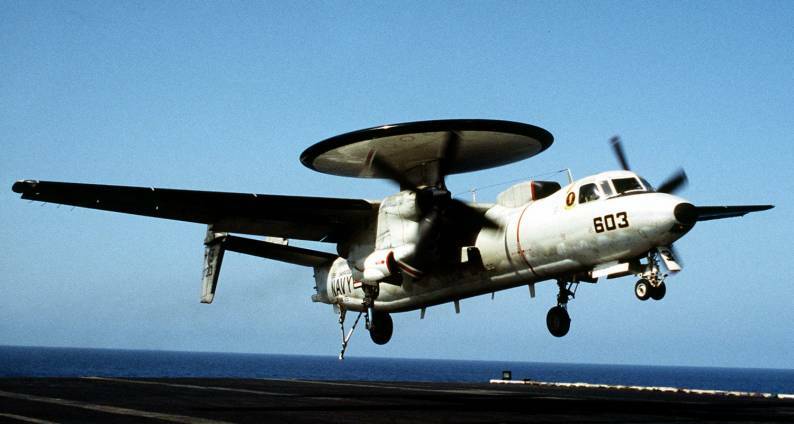 The squadron was duly recognized for its achievements in 1996, being awarded the COMNAVAIRLANT Battle Efficiency Award, the CNO Safety Award, and the VAW community’s AEW Excellence Award. 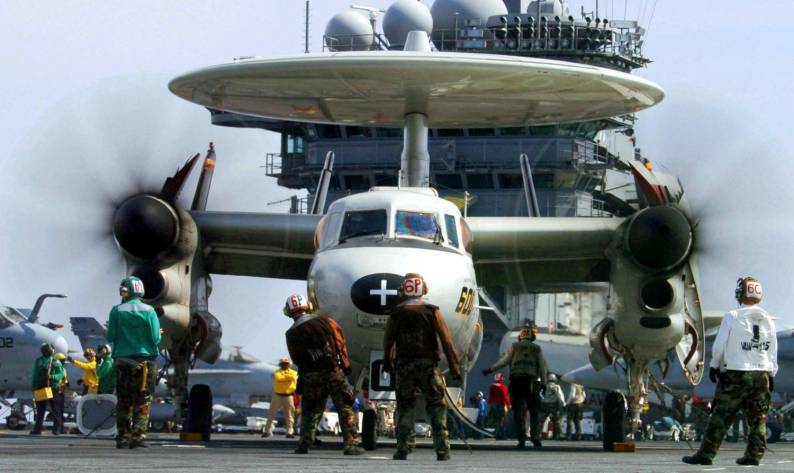 Within hours of the unprecedented terrorist attacks and national crisis of 11 September 2001, squadron personnel were embarked at sea, leaving NS Norfolk with minimal logistics support and literally nothing more than the shirts on their backs. 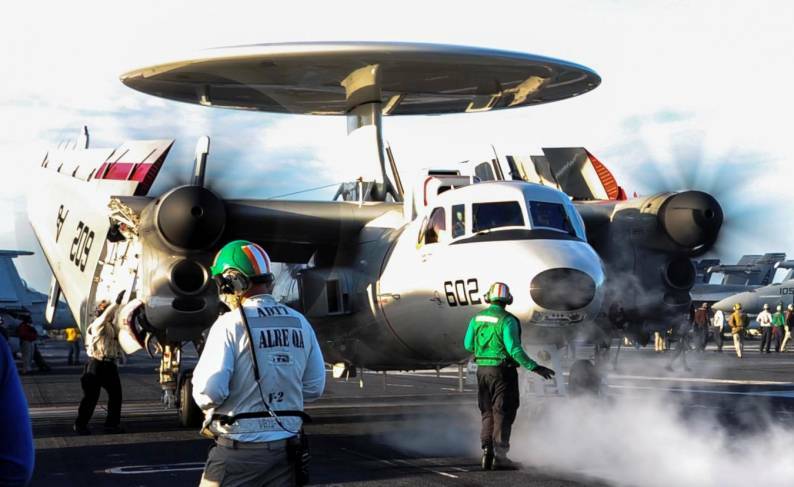 Transported to USS George Washington (CVN-73), VAW-125 maintenance personnel immediately began dedicated aircraft launch and recovery operations while others prepared ship spaces, established supply requirements, and readied lines of communication to support Operation Noble Eagle. 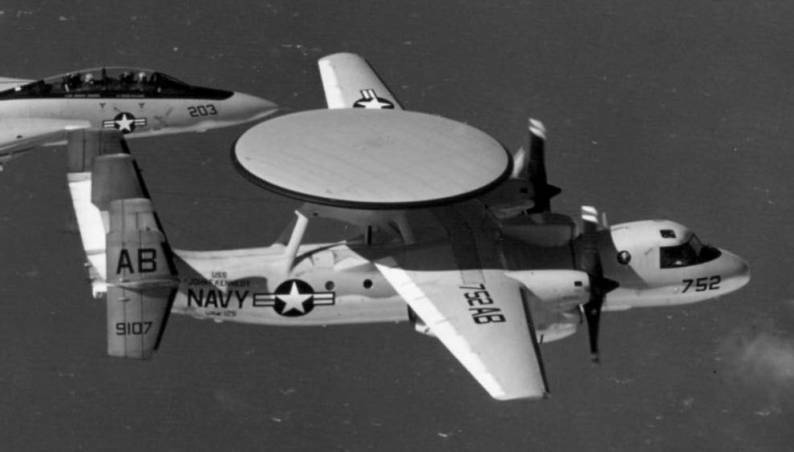 Squadron aircraft flew numerous Command and Control (C2) missions in the New York City vicinity in the days following the attacks as commercial air traffic slowly resumed. 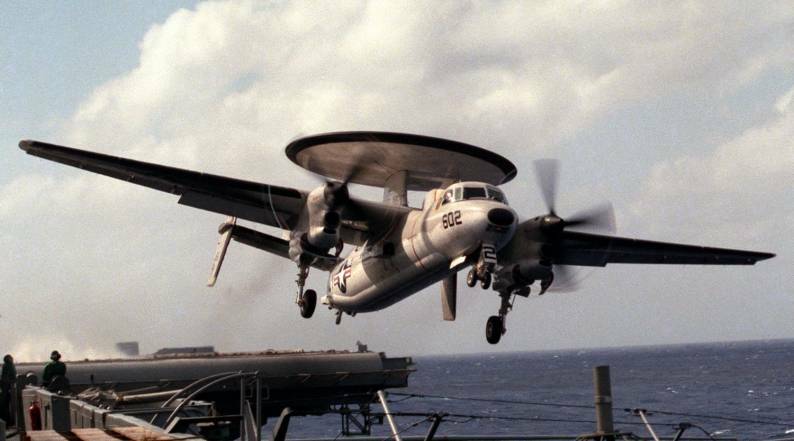 During this cruise the Tigertails surpassed an incredible 32-year Class "A" mishap-free milestone with over 64,000 flight hours. 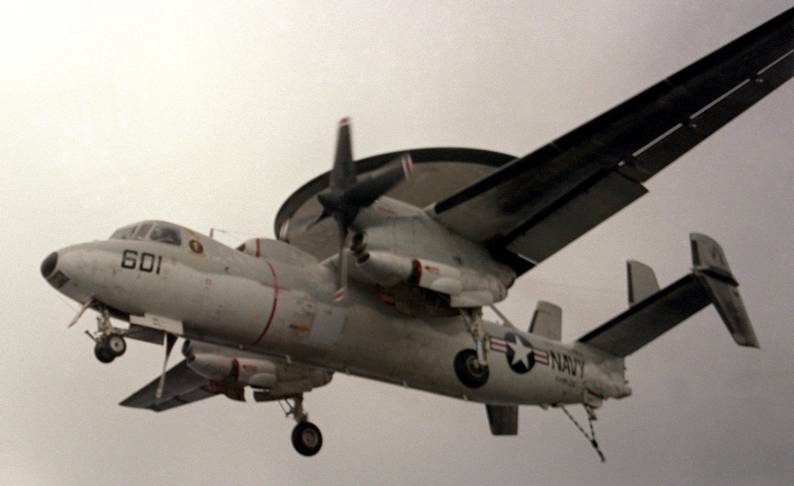 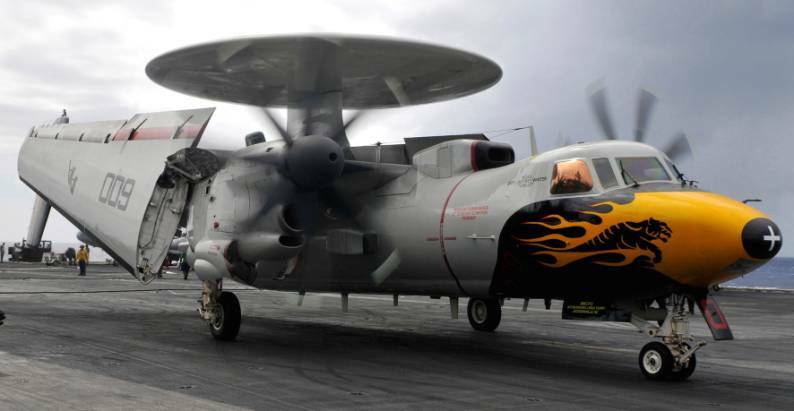 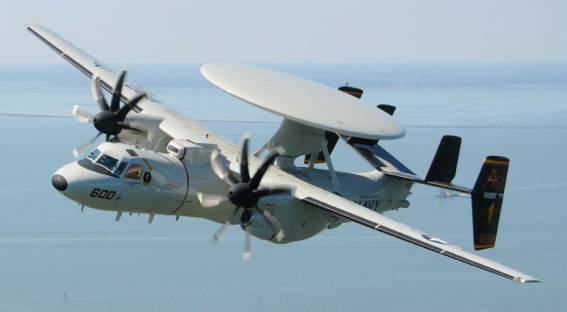 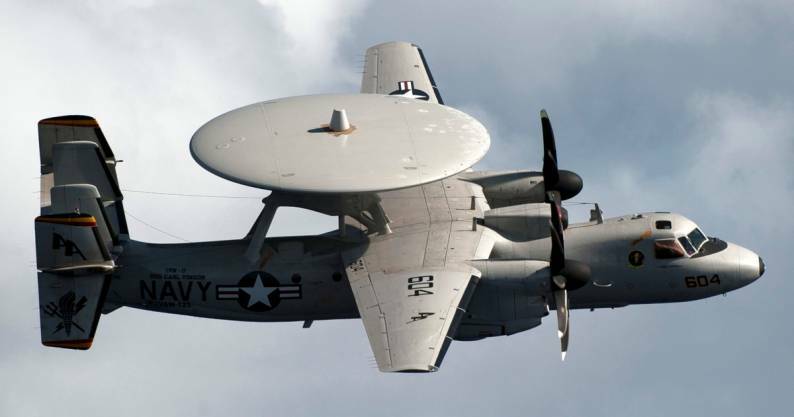 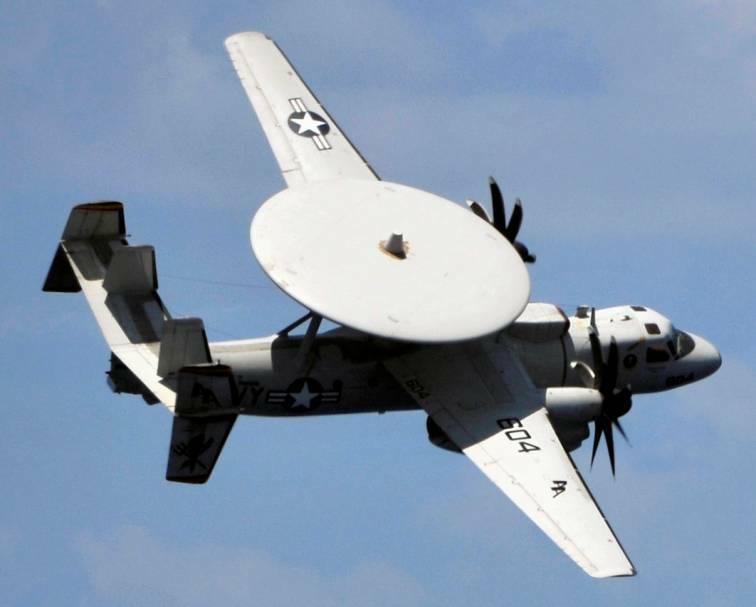 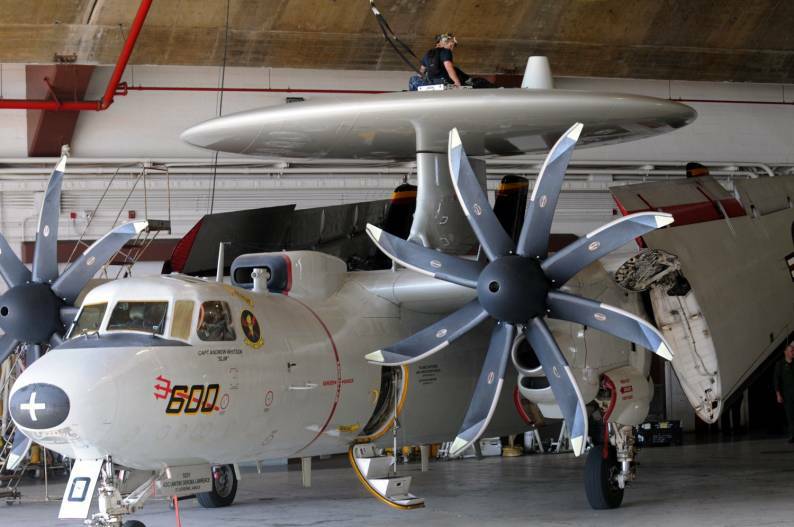 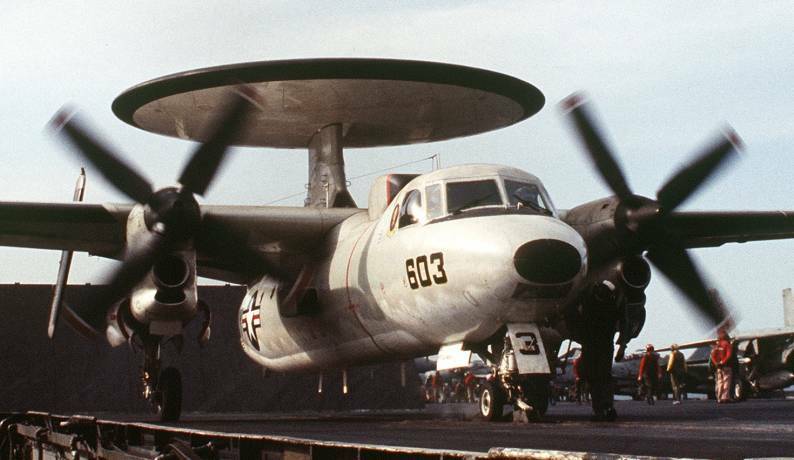 In April 2003, the Tigertails became the first East Coast squadron to transition to the E-2C Hawkeye 2000, which boasts improved electrical and vapor cycle systems, mission computer and display stations, and Cooperative Engagement Capability (CEC). 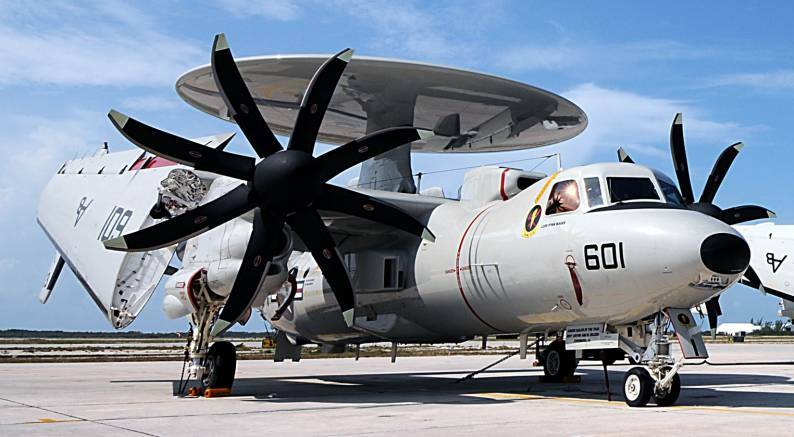 The squadron participated in the Operational Evaluation of the AN/USG-3 airborne node of the Navy’s net-centric CEC sensor fusion system. 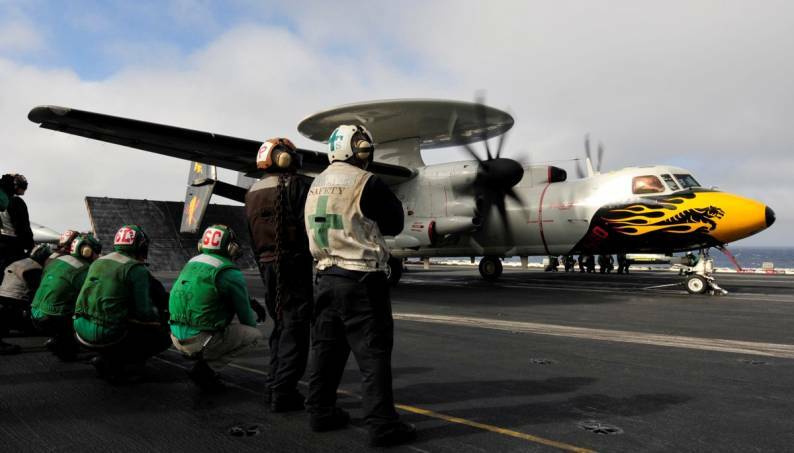 While deployed aboard USS Dwight D. Eisenhower in the Central Persian Gulf, North Arabian Sea, and Western Indian Ocean VAW-125 played vital roles in the ongoing Global War on Terror, Operation Enduring Freedom, and operations off the coast of Somalia. 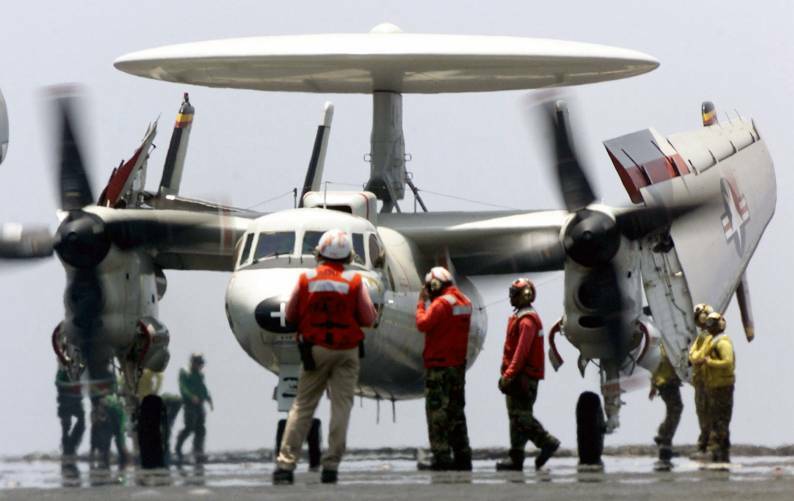 In January 2010, The Tigertails were deployed to Guantanamo Bay, Cuba, in support of Operation UNIFIED RESPONSE providing humanitarian assistance to the earthquake-ravaged country of Haiti. 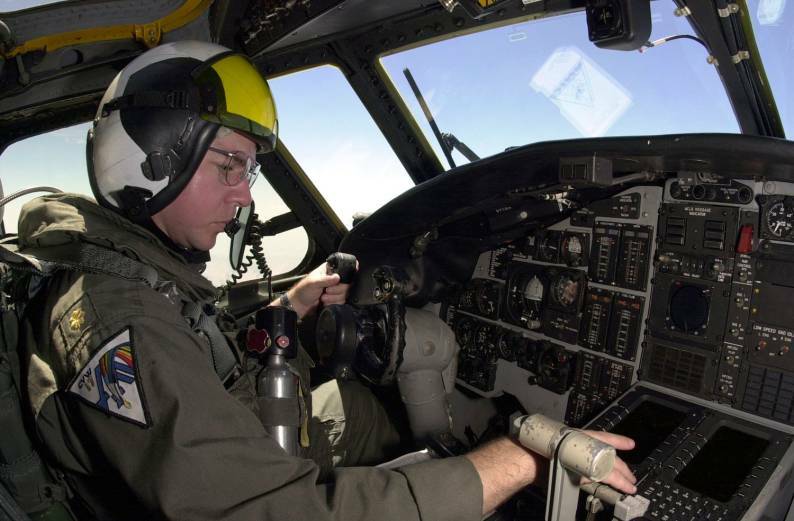 The squadron flew missions each day to provide communications relay, command and control, and general airborne radar services allowing forces afloat and ashore to distribute thousands of tons of rations, water, and medical supplies. 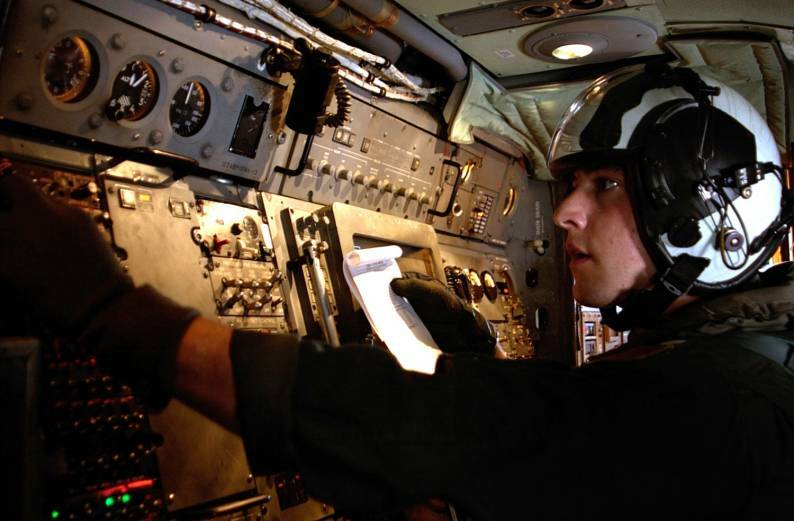 In the most extreme of cases crews provided necessary information to medevac helicopters in order to reduce flight time between life saving facilities allowing for many lives to be spared. 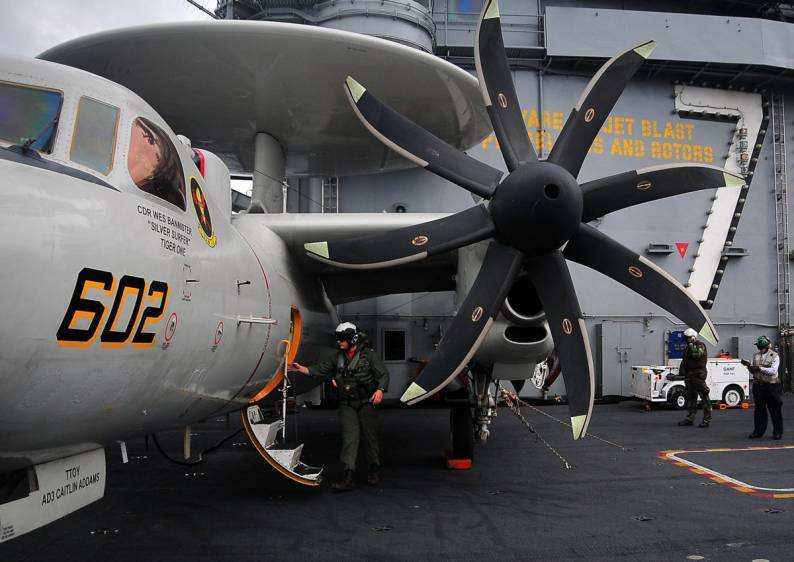 They then joined the USS Carl Vinson (CVN-70) on its trip around South America as it returned from Norfolk to its home port in San Diego. 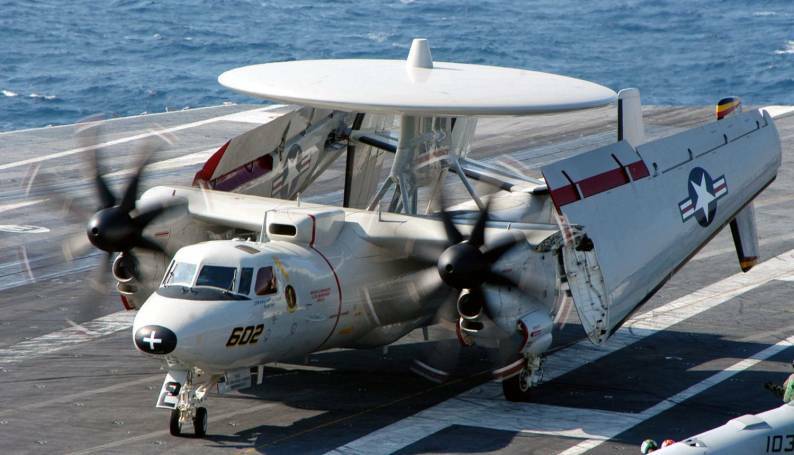 As of 2014, VAW-125 is assigned to Carrier Air Wing 1 and the USS Theodore Roosevelt (CVN-71) flying the E-2D Advanced Hawkeye.